The first thing you are going to ask is “When does this wonderful place open?”, so I will answer that immediately. Saturday 11am to 8pm. The Truck Stop – about 1.5 miles north of the bridge. 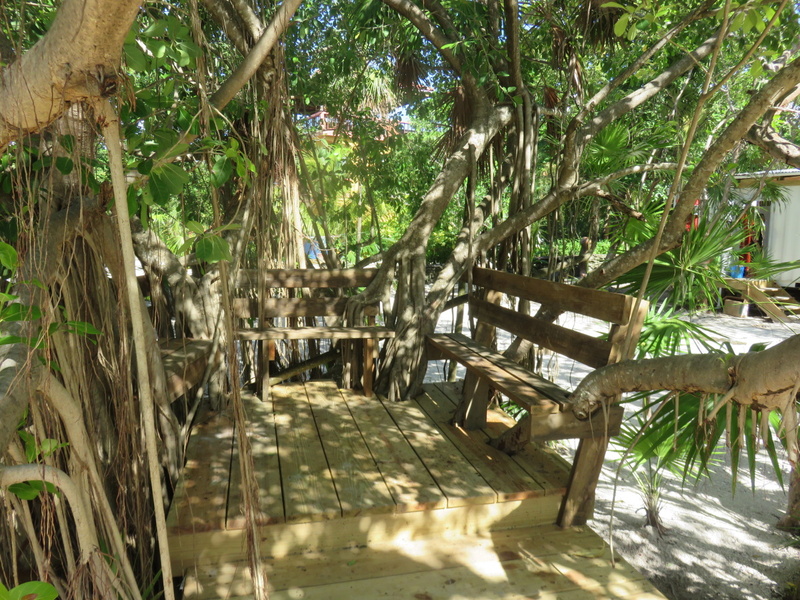 San Pedro’s newest, hippest and only outdoor food court and beer garden. 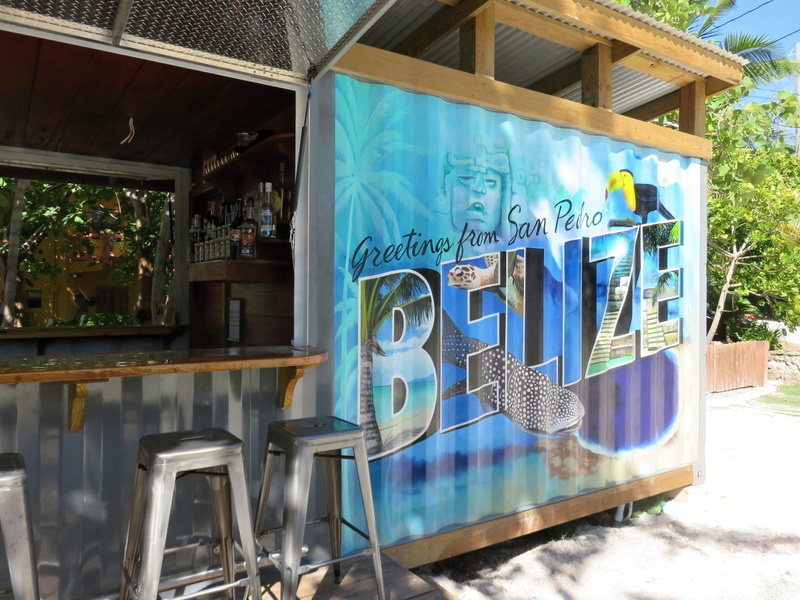 Three containers/restaurants and one gorgeous bar – with this beautiful mural/postcard…you almost get the feeling Route 66 runs right down Ambergris Caye. Now all we need is a few Wigwam Motels and a Cadillac (or Club Car?) Ranch. Here’s the food. 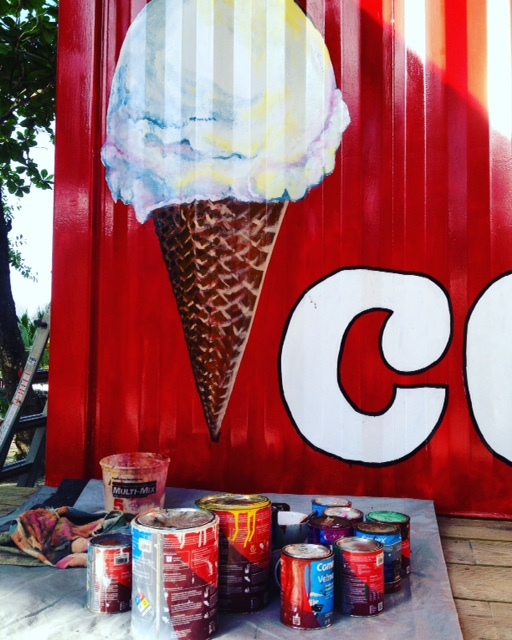 Cool Cone…which will be serving The Ice Cream Shoppe’s GORGEOUS ice creams in standard and nutty flavours like Guinness, Maple Bacon and Pumpkin Spice Latte. The painters were putting the finishing touches on the exterior. 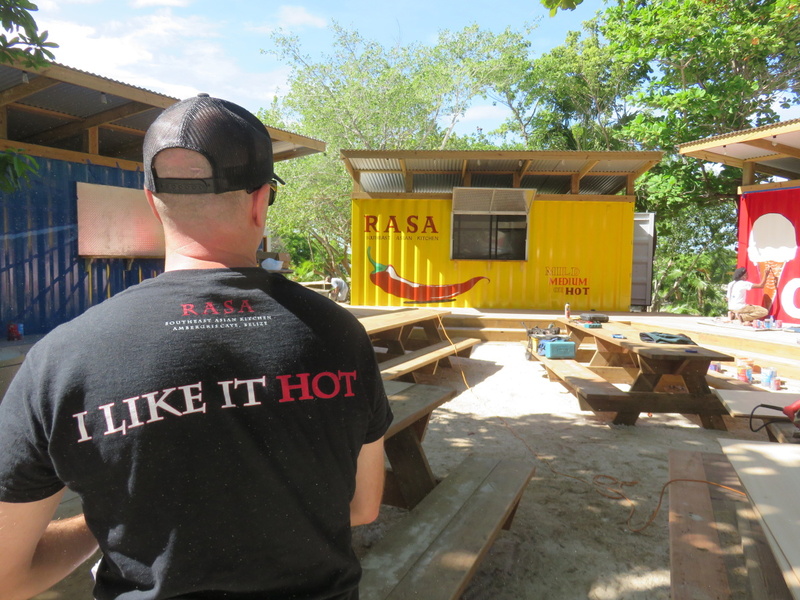 The middle cart is RASA…Southeast Asian cuisine. Noodle dishes, satays…I will show you. And then the third “truck” – still being painted – will be Latin American. 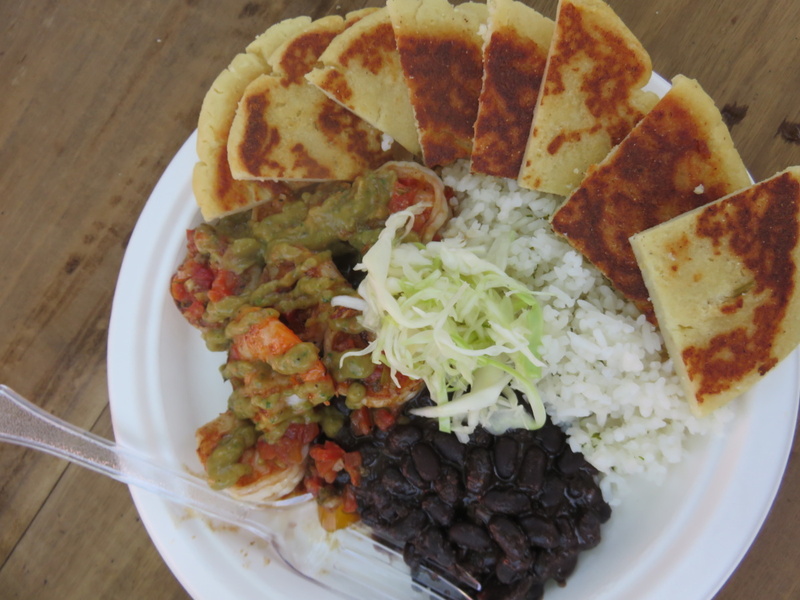 And more specificially – the South American corn cakes – arepas. 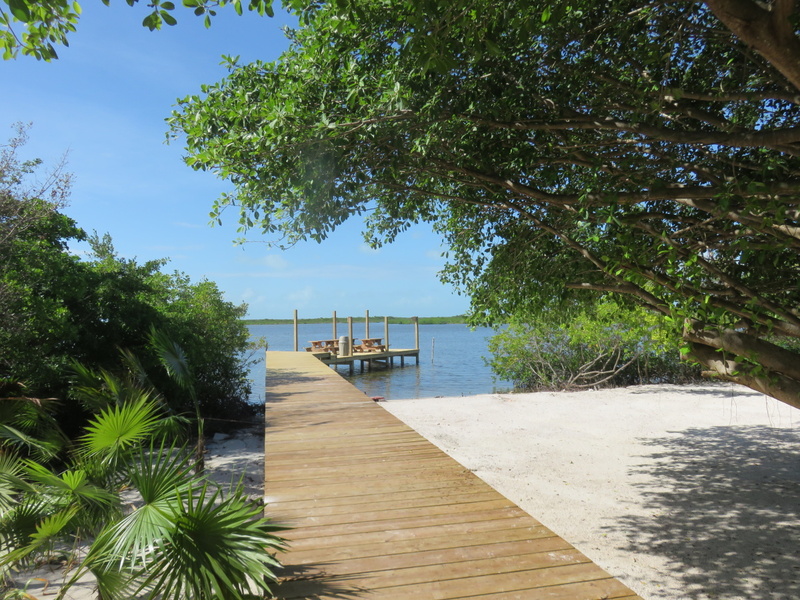 Let me show you a quick look around the property because, well, I’m just in love with the whole project. In no way could I have pictured it looking as amazing as it does. 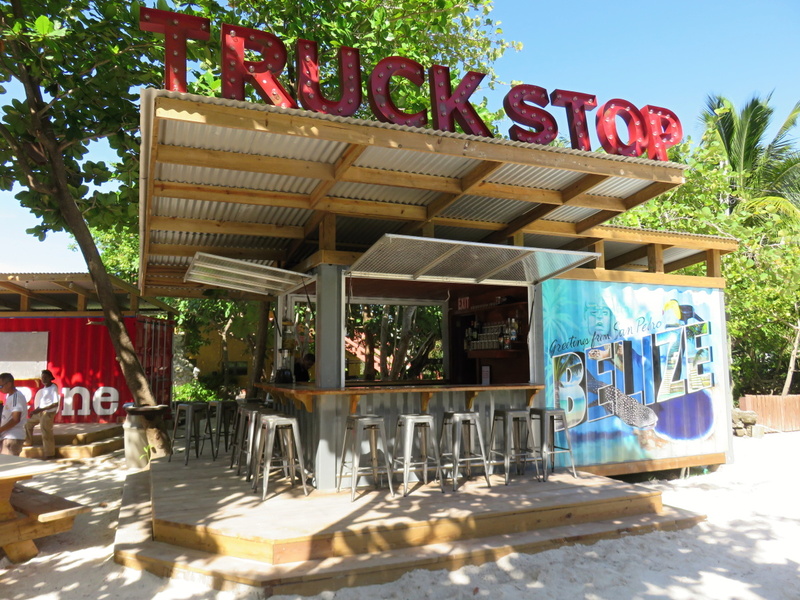 Ben and Joanna, the owners of Truck Stop, did an incredible creative job…not surprising since they are incredibly creative people. A perfect angle to catch the sunset. 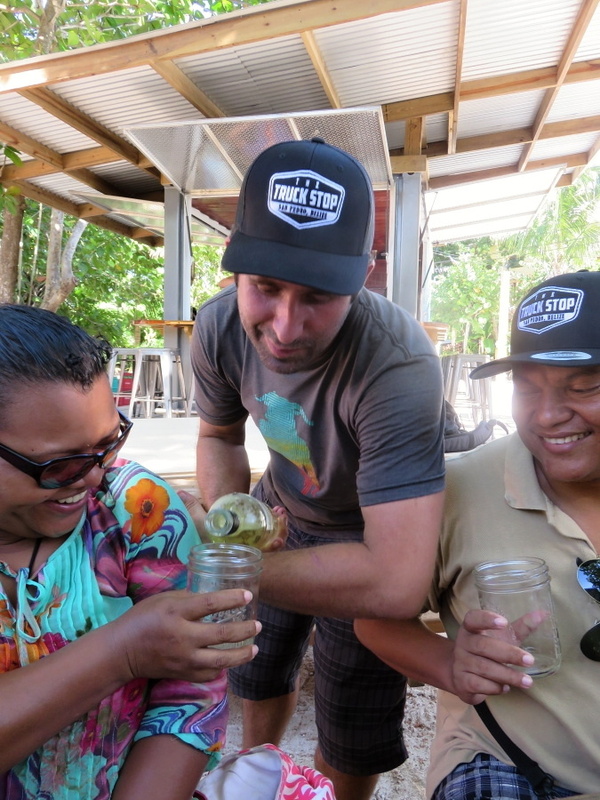 We were told to bring our appetites – only finding out later that we would be tasting EVERYTHING. 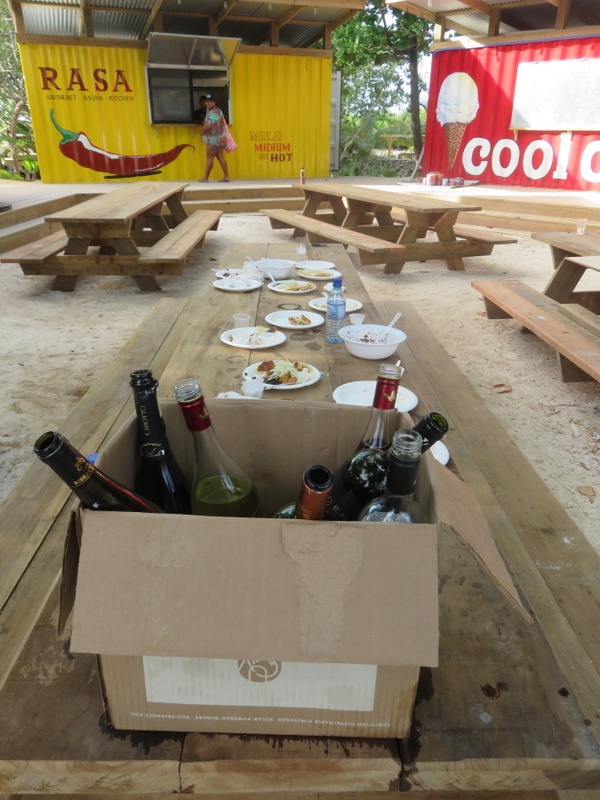 Including cocktails and wine provided by Wine De Vine. They wanted to get the pairings right. 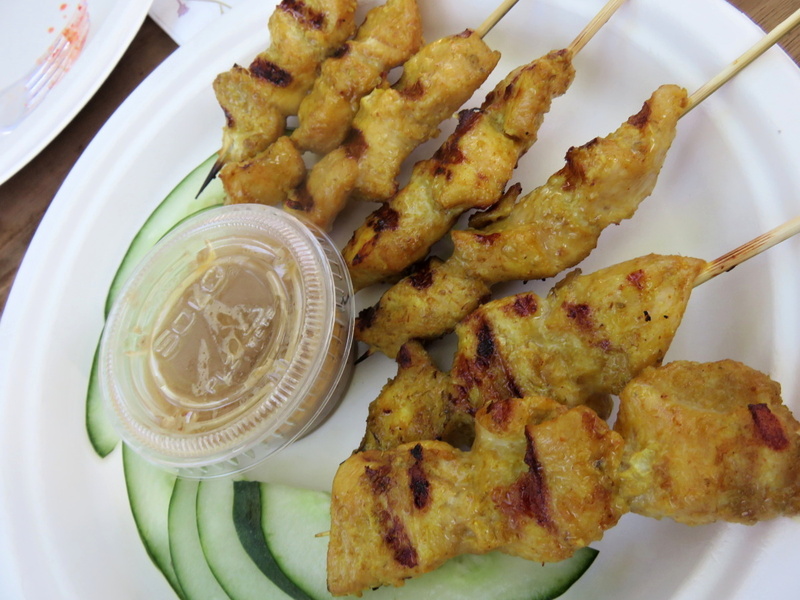 And very tasty chicken satay with peanut sauce. Owner Ben shamelessly plying the press (the San Pedro Sun) with white wine. And then noodles, noodles and more noodles. You can get thin, medium or thicker, mild, medium or hot AND beef, chicken or shrimp. 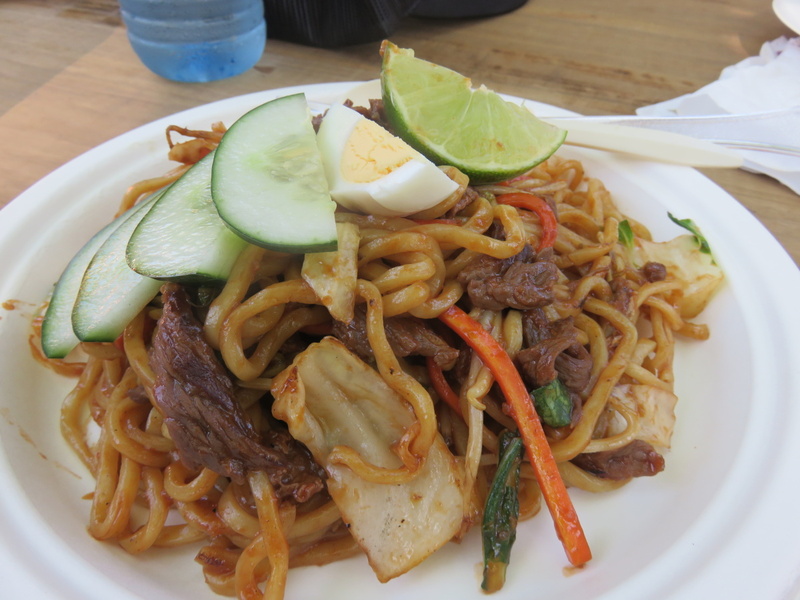 Everything had a completely unpronouceable name – I learned that Goreng means noodles! – and was totally delicious. 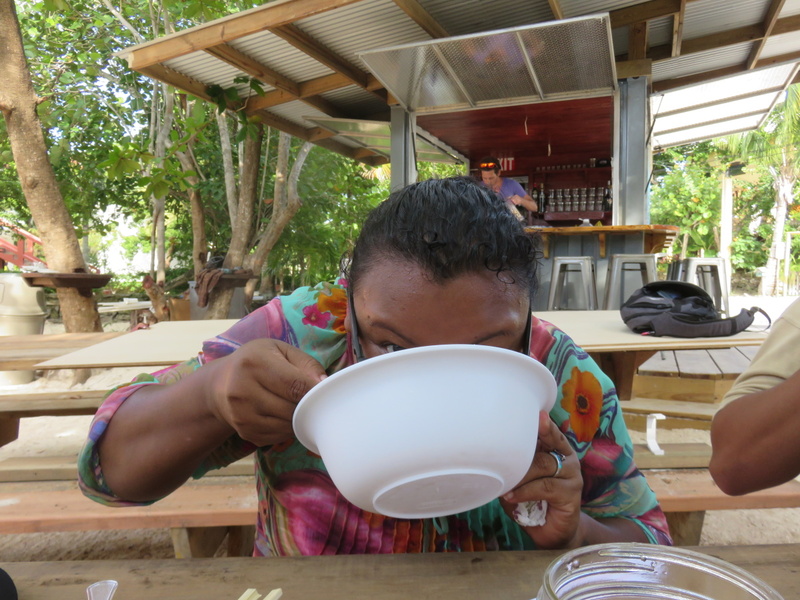 The peanutty, sour, sweet, tangy soup with noodles was my favorite…and many others. 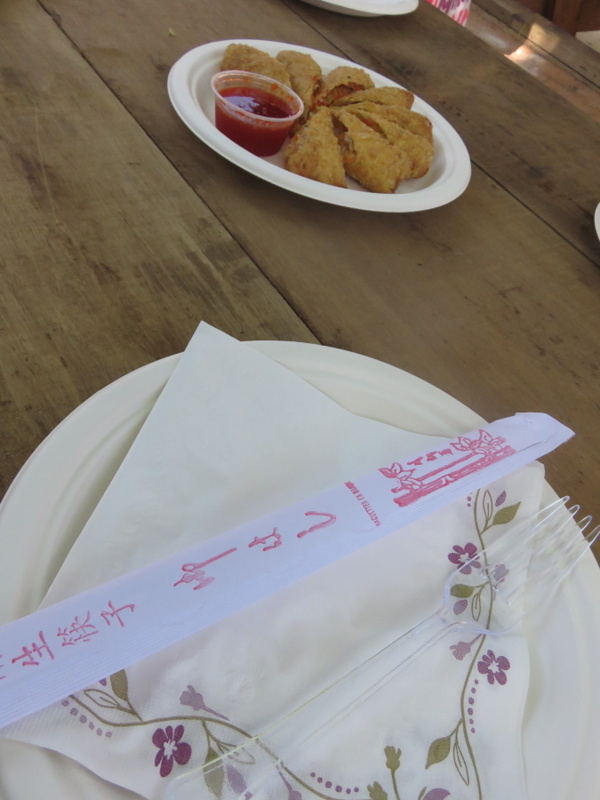 The portions are LARGE – often enough to share for dinner – and the prices are now set between $15 and $20bzd. Perhaps a bit more with seafood. 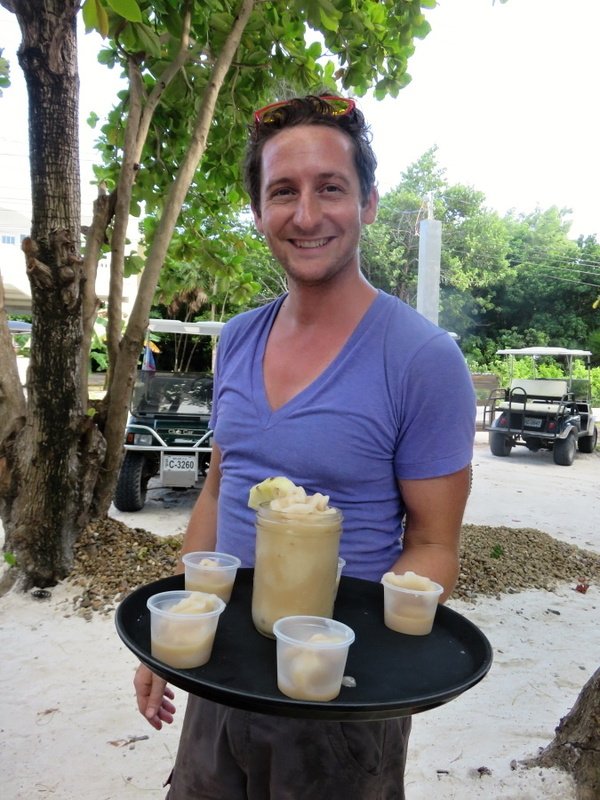 Ben’s friend was helping out with the bar…and served us a Horchata White Russian called the “El Dudino” – all you “Big Lebowski” fans can get the reference. 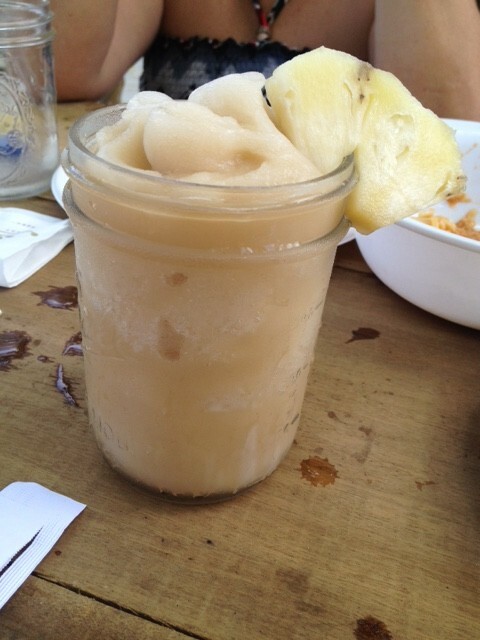 There wasn’t a drop left…someone even ate the pineapple garnish that had been steeped in vodka. 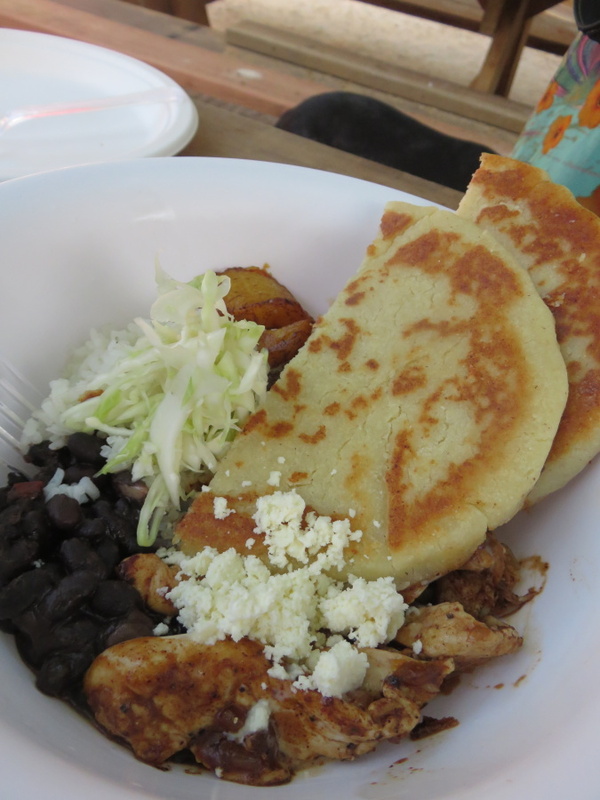 And the food kept coming – next from the Arepa truck. DELICIOUS skirt steak with herb, garlic chimichurri and cassava chips. Tostones with a garlic habanero creamy (almost ranch-like) dipping sauce. SO good. I’ll do you no favor trying to describe them – by that point, I was in a food-coma. 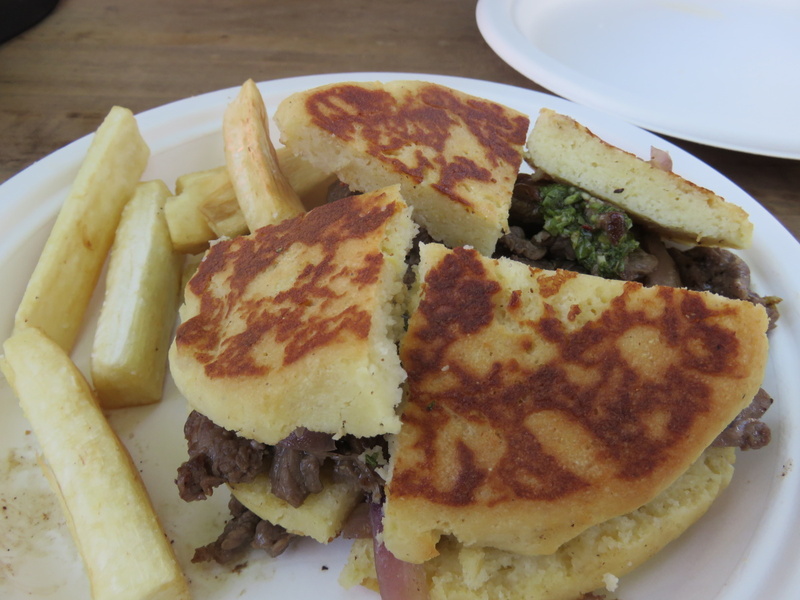 The arepas light and tasty with a nice crust. No matter how full I was I just kept picking at them. The avocado-habanero Diablo Shrimp. I loved these too. And I could not say no to just a tiny taste of ice cream. 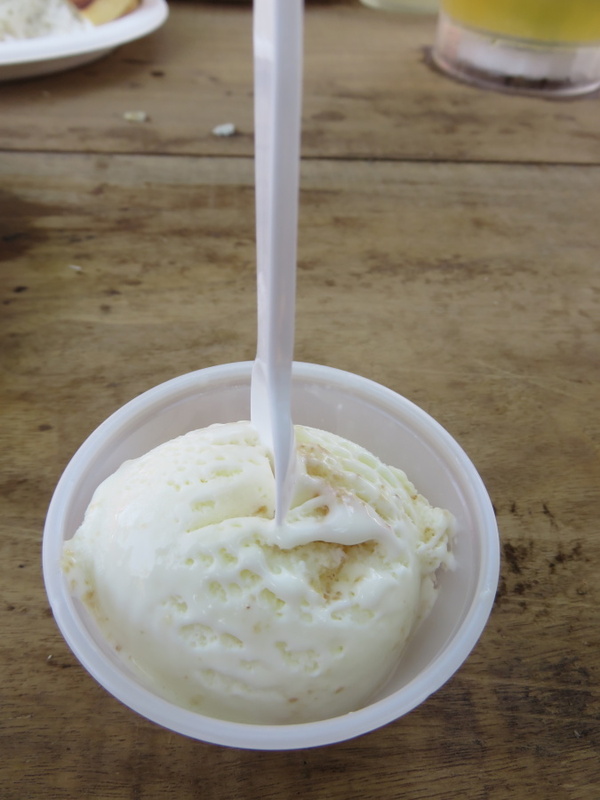 Apparently Rum Raisin is the best seller at The Ice Cream Shoppe’s Belize City stand. I went for just a sample of the cheesecake…swirled with graham crumbs. They will be offering 14 flavors! First just scoops…but sundaes are coming! A place for great food, drinks, beers…a place for selfies in front of the beautiful bar mural…a place to spend the afternoon drinking and playing games or an evening sipping prosecco and watching the sunset. …with a little ^ at the end. 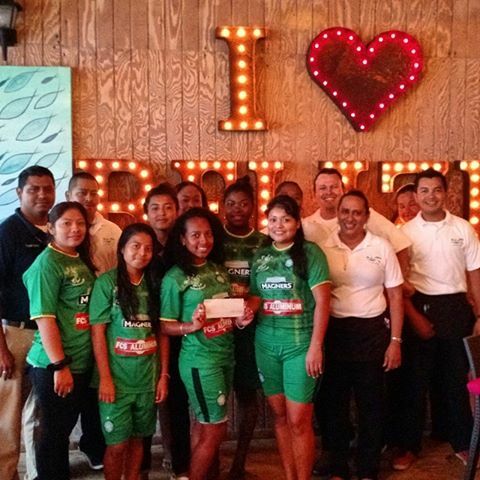 I LOVE BELIZE ^more. 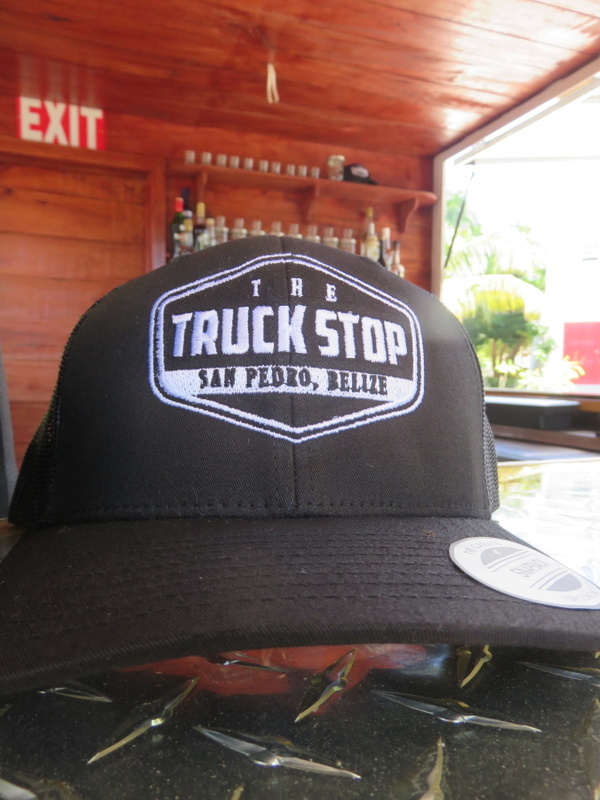 The Truck Stop will open Saturday. 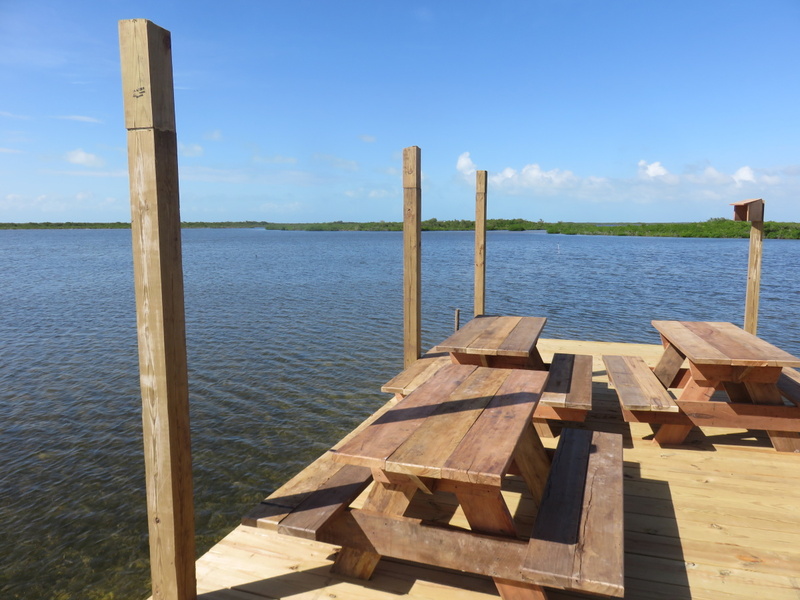 It’s a soft opening with a smaller menu and the GRAND OPENING will be November 29th. It will initially open from Wednesday to Sunday and then as the season ramps up (even more) Tuesday to Sunday from 11am to 8pm. See you at the Truck Stop. AMAZING! Congratulations to the lovely Popiks on what looks to be the best addition to AC in a long time, if not forever. Wishing them much success! Oh man did that food look GOOD…can’t wait to try it out! 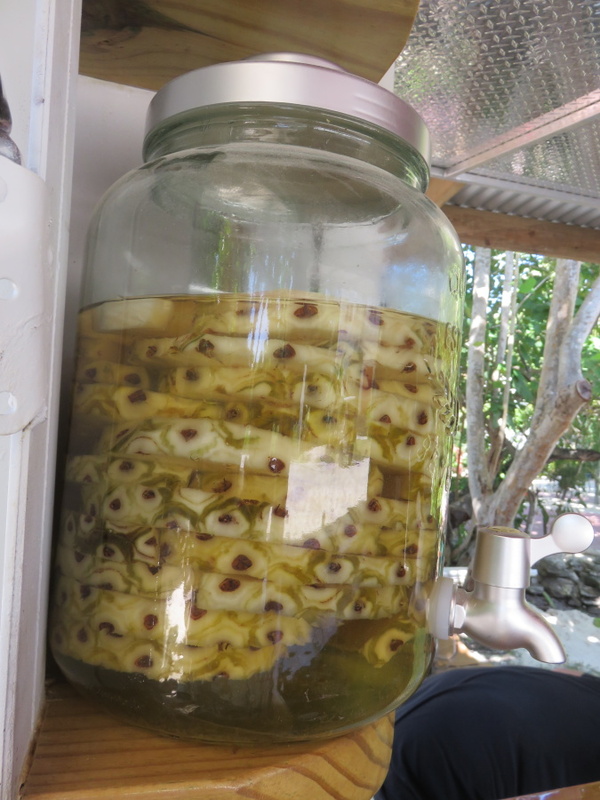 Oh man…….get in my belly! !